'Applause' singer Lady GaGa is seen checking her hair and make-up in a car mirror before getting out of the vehicle to face the awaiting paparazzi outside the 'Saturday Night Live' after party. The star smiles at photographers before signing autographs for fans; she even lets one male fan kiss her on the cheek before taking a photo with him. 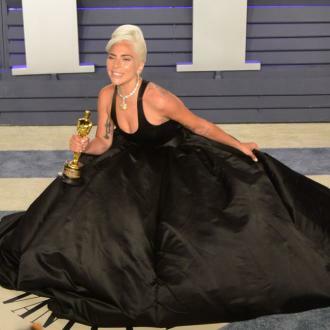 One paparazzo can be heard getting quite hysterical when she fails to get a clear picture due to the hoard of security bustling around Gaga and ushering her inside.